Bull Candle is molded from a weathered western fencepost with original carving of a bull's head. 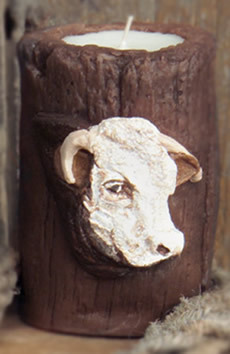 Handpainted in your choice of Hereford or Angus style, and filled with your choice of fragrance. Also available as Polled Hereford or Polled Angus.